Vance is the senior executive for Dell EMC in Utah, a significant base within Dell Technologies, the largest privately-controlled IT company in the world. Under his leadership, Utah operations have grown rapidly with over 1,300 team members now based in the state. Last year, he was selected as one of Utah Business’ CEO of Year honorees. He has been with the Dell EMC since 2007, when EMC acquired Mozy. Prior to Mozy Vance worked at several other high-tech firms, including 10 years at Oracle in Silicon Valley, WordPerfect, Novell and several start-ups. His philosophy that emphasizes relationships, risk-taking, speaking up, diversity, and humility. The importance of pivoting and taking opportunities that are uncomfortable. Focus and jumping into opportunities and how he learned it from climbing on Mount McKinley (Denali) and being told to jump if necessary. How he keeps himself grounded. Using the one-on-one from work at home. Diversity in the workplace and how to build acceptance and love for others. Being rejuvenated by spending time outdoors and working out. Just jumped off the other side. Now fortunately we didn't get to that point, but you do recognize that there are points in your life or your career where you have to willing to, like, really, not just run towards something but, like, jump. Welcome to SEEKING EXCELLENCE, I'm Brett Pinegar. In my work I help executives and teams be their best and achieve remarkable results. Reduce time to market, more rapid growth, higher levels of profitability, along with a better quality of life. Learn more about my coaching, peer groups, and training programs at Brett Pinegar dot com. You can also follow me on social media at Brett Pinegar. Check the show notes for all the specifics. SEEKING EXCELLENCE is all about helping us understand what makes leaders that are striving to be their best tick. What are their beliefs or mindsets about how the world works? What motivates them? And how do they bring their best to their work? And then we take those insights and uncover things we can all do to live and lead with more intention. If you enjoy this podcast, we would appreciate it if you'd take the time to rate, review, and share it with others. Now, let me introduce my guest, Vance Checketts. 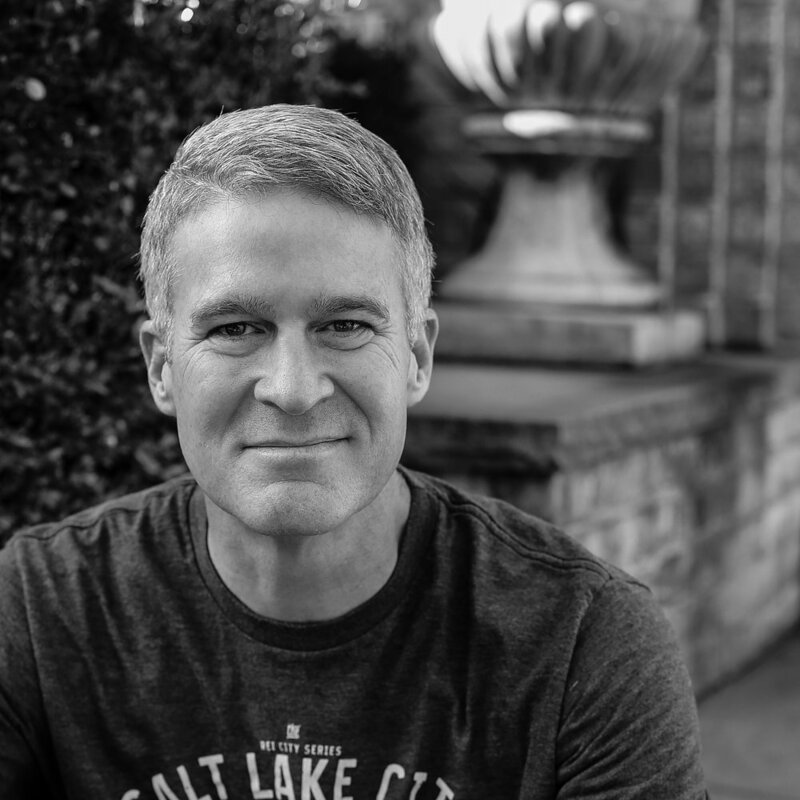 Vance is the senior executive for Dell EMC in Utah, with over 13 hundred employees, and is part of Dell Technologies, the largest privately controlled IT company in the world. Last year, Vance was selected as one of Utah Business' CEO of the year honorees. He's been with the company since 2007, when EMC acquired Mozy, where he was COO. Prior to Mozy, Vance worked at Oracle in Silicon Valley, WordPerfect and Novell. In our discussion, Vance shares his thoughts on weathering storms, and the lifecycle of businesses. Being authentic, and learning from challenges. His philosophy that emphasizes relationships, risk taking, speaking up, diversity, and humility. Focus, and jumping into opportunities. And what he learned climbing on Mount McKinley, and being told to jump if necessary. How he keeps himself grounded. Diversity in the workplace, and how to build acceptance and love for others. The law of excellent people, and being rejuvenated by spending time out of doors and working out. I had a blast chatting with Vance, and I think you'll love this conversation. Vance, it's great to be with you today. It's super great to be with you too, Brett. Let's talk a little bit about Dell EMC. Can you give our audience just a little bit of background on what you do and what Dell EMC is all about? Yeah, well, it's a common question and a common conversation for me to have with people. Everyone knows Dell, it seems. And that's thanks to Michael Dell and what he started in his college dorm room back, quite a few years ago now. And that is the same Dell, it's not a different Dell. The EMC part is really interesting, because most people don't know about the EMC business. And it was a 25 billion dollar business that combined with Dell just a couple of years ago. What's interesting about it is, those two brands coming together are just one part of a bigger set of brands and technologies that we call Dell Technologies. And Dell Technologies is, together, the world's largest privately controlled information technology company. And we say privately controlled because some of the entities or the brands are in various stages of being public or private. So right now Dell and Dell EMC are privately controlled, privately held, but, because Michael Dell owns them with a few of his financial partners, that includes ownership of VMware, which is a public entity, or at least 80% ownership. What we do here is just about anything that can be done remotely to help our customers. Whether that's selling those products, supporting those products, implementing those products, consulting around those products, or managing those products in a managed services, or kind of a Cloud, and as a service model. The infrastructure could be sitting anywhere on the planet, and we have teams here in Utah that manage that infrastructure whether it's in a customer data center, one of ours or a partner's. Fantastic, thank you, that's a great introduction. And let's go right to the Mozy story because I think that's kind of the beginning, at least for your significant leadership responsibilities, and you've been with this entity that has evolved from the Mozy days to now Dell EMC here. Yeah, and if it weren't for Mozy, none of this would be here. For some technology implementation. So we had all kinds of interesting things that happened inside the company, but they weren't quite as existentially threatening to us. They weren't like they ran out of cash or anything like that. So it was a really, it was a really fun and interesting place to be. But Mozy took all kinds of interesting twists and turns along the way inside of EMC and of course, it's kind of the end of that story, at least as far as Dell EMC is concerned is, we just two weeks ago divested the Mozy business. So it has come full circle. About 10 years from acquisition. And EMC's had a pattern of doing this, and even Dell's had a pattern of doing this. So it's not, it's not like there's no precedent for this at all, but it is kind of coming now full circle, which has been really interesting to be a part of. Before we get into all the stories about Dell EMC and Mozy and what happened and leadership opportunities, I'd love to kind of just take us back in time here and talk a little bit about for you the formative leadership milestones in your life. Obviously as a COO of Mozy and now GM and VP of Dell EMC, you have significant leadership responsibilities. What do you look back as kind of being some of the defining milestones in your development as a leader? Unfortunately a lot of them are the really tough times, right, or failures, even. Where you feel like, oh no, what has happened? And it's interesting that, I try and be my authentic self in whatever situation I'm in, at home or at work, and sometimes those real tests didn't even come at the office, they came at home. When there was something that was a severe challenge or a struggle in my personal life, and I had to find balance, or I learned from that and it benefited me professionally, or the other way around. I think of those really intense moments of change, transition, trauma, drama, those have been the defining moments for me, so even things like the acquisition. That was a real defining moment. Even leading up to the acquisition. I'll never forget, we were talking about, to be acquired or to take a round of funding? And for me, the answer to that question was really obvious depending on who you were in the equation. For me, I wanted my tiny little stake in Mozy to get much bigger before we did anything like that, so I wanted to take the series A or semi-B round that we had negotiated and grow that valuation. For the company, I felt like hey, this was a safe place for people to go and they'd have good jobs, and it was, and for Josh, I thought, gosh, anytime somebody offers you something and it ends in tens of millions of dollars, it's probably not a bad idea to just say yes. But that was a hard decision for me to make, personally, because I wanted to do something different, and yet I was advising Josh to go down another path. And then what happened is we got on the other side of EMC and things started to change. There were multiple inflection points, right. I thought I was kind of the boss and kind of running things, and guess what? EMC acquired another company called Pi Corporation that was run by a gentleman named Paul Maritz, who's a brilliant executive that came from Microsoft in the very early days, and all of a sudden he was my new boss. And we had combined Mozy with his company, called Pi Corporation, and there were some tremendous experiences and challenges associated with that. They had no customers with no revue and a big burn rate. And here Mozy was barely break even and trying to grow and all of a sudden we went from in the black to heavily in the red as this combined entity. And I find myself struggling with all these other brilliant executives, but this big executive team had come from Pi and kinda me in a small team. Can be a little bit overwhelming. Yeah, very overwhelming, and so those kind of moments of truth where you're under pressure or you have a lot of stress or strain, really cause you to kinda go to what's most important really quickly. You either pack your bags and go home, or you just really say, okay, what's most important here, what are the key objectives that I've got, who are the key people that are gonna help me on that journey, and let's march forward. Well let's talk about, any one of them do you wanna talk about here, but let's talk about maybe some key learnings that came from those things, so maybe it's the story of Pi and Mozy coming together and some of the difficulties you learned there, or maybe even roll back the clock earlier in your life here. What would be, what was kinda the key learning or takeaway from those experiences? Well, a really early one, right here. My tech career really started at WordPerfect. And I just needed a job when I was wrapping up my bachelor's degree, I started working in the warehouse at WordPerfect. And took the opportunity that got presented when people were throwing away computers and I was working in the warehouse and I was the guy throwing them away and I said, hey, can I have one of these and they said, sure, have a couple. And these are like old 286 machines or something like that, us old people can remember those days. Relate to those 286's, exactly. So anyhow, my first few computers. So I kinda took advantage of that opportunity. I ended up moving myself into the supply chain team and pretty soon I was a buyer, I was like buying stuff for this cool growing company, and then I was the manager of the purchasing department, and it was like, really turned into this great job with this great company. But I was on the business side. Well then, WordPerfect made the decision as they were growing to implement this new financial system. And they went out to bid and did all this work to find the right system, and they selected Oracle ERP, Oracle financials and some other applications. And they said, we need a subject matter expert from different parts of the business to be on the project team to help us work this implementation. And here I am, a pretty new guy in supply chain management and they say, we need somebody, and I raised my hand. And I said, I'd be happy to do that. So taking risks like that has been another key part of my success. Going back to very, very early in my career, not being afraid to take risks, and then build relationships. So risks and relationships are two key elements of my own personal success that I can look back on and say, that was a big risk, I was pretty maxed out already with school and a job and a young family, and here I am now volunteering for this new project at work. That was the beginning of me moving into more of the IT and then engineering side, and frankly that's the job that got me an offer from Oracle when I'd finished up my MBA and Oracle now knew me as a very vocal and smart person on their products that had a vision for where they could go in the future. And so I had taken some risks, and then I'd built some relationships that took me to Silicon Valley, and it was in Silicon Valley where I met Josh Coates for the first time, that's what connected us when we both ended up back here in Utah, which is what got me into Mozy, so relationships and risks. Relationships, risk, there are two other things, though, that I think that are coming out of our conversation that I'd like to dig in a little bit. One is your willingness to speak up. Maybe that's a part of taking risks, but it's not just doing risky things, it's actually speaking your mind, here, and speaking up, that's what got you the job at Oracle, it sounds like. How do you do that, and how do you do that well? Well, I'm not afraid of public speaking, I'm not afraid of putting myself out there a little bit, but the other thing that's really important too, Brett, is I know I'm not always the smartest person in the room, or on the team. And I like to surround myself with people who are smart. And frankly, who are different than me, who don't see eye to eye. Josh was a great example where there were several times where Josh and I just disagreed on things, and yet, we have a great relationship to this day. And so having diversity is also really important to me, and then being humble enough, and I, you know, it's easy to say you're humble, I try to be humble, so that when you hear the great ideas that come from the room, from the team, from your peers and others around you that you're willing to get behind those and say, that's a great idea. Or, hey, let's do this, so and so just said that and I think we should spend some on it, that's really really awesome. And so I can be an extrovert, I can be introverted a lot sometimes, too, but since I'm comfortable in the extrovert world, a lot of times I hear the introverts who are oftentimes where many of the brilliant ideas come from, and I can take that idea or that question and champion that for them. So I can't even take credit for all the brilliant things that may have come out of my mouth, because they probably originated somewhere else first. We're gonna get back to this humility thing, 'cause it's absolutely critical from what I see in great leaders is their ability to maintain their humility. One of the other themes though I wanna talk about briefly is this idea that you can adapt because not many executives would've been through as many transitions as you've been through. You started out at Mozy, or before that Oracle, Mozy, and then from there to EMC and then EMC to Dell EMC, you've been through a series of transitions. And so, what from a leadership perspective has enabled you to make those transitions great opportunities for you? Yeah, well, I oftentimes call them pivots. And that's where I feel most comfortable is when I can find a common thread, or pivot point, to say I'm gonna leverage this experience, I don't know, think about WordPerfect, right? In supply chain management, albeit relatively brief, to pivot into IT in implementing this big software application, ERP thing from Oracle, working with a bunch of consultants in IT. And then I pivoted from there into Oracle, or actually there were a couple of other pivots, I pivoted into Novell and did the same thing at Novell, pivoted from there into Oracle, so, you know, pivoting, where I can find a base of strength, and the strength comes usually from either skills that I possess, experiences that I've had, or the relationships. Relationships are so key, because I might be doing something very new or different, but if I'm doing it with some people that I know, that I trust, and they know I've got maybe just some raw horse power that will be helpful even though I don't have the domain expertise, or I don't have a particular experience in that specific area, but there's trust and they know that I'll learn that stuff and pick it up, pivoting from a point of strength or expertise or comfort into an area of unknown and discomfort is I think a real important thing, or that's been an important thing for me. Where do you think the idea of sort of running towards the pain first kinda came into your life, here? 'Cause many of us will say ugh, that looks a little bit painful, I'm going to maybe avoid that or maybe not be quite as in as, you're just all in, you're running towards the fire, you're running towards the pain, it feels like. I don't know, I mean, I literally think of like some of my experiences in the mountains of Utah, and New England, even, when I was younger. Or cycling, you know. Opportunities as I see them. Love it. So let's come back to humility. Did I mention my large family? That really is a good thing, 'cause those relationships are ones where this kinda this implied trust, where it's like, I'm connected to those people in a very intimate way, and they will let me know when there's something that's a little bit out of whack. And my wife, in particular, she's not afraid to say, hey, time out, that doesn't sound right. Or hey, you promised this, or you said that. And that's really really helpful in terms of me staying grounded. I try to do the same thing in the office, too. And it's interesting to see some of the blend of my philosophies. Something that I did in the office to stay grounded and connected to the people that I work closely with is, it's called the one on one. I think, hopefully every good manager and leader has regular one on one conversations with their team to find out what's going on and how they can help and just getting to know their teams, as well. I was doing this in the office and feeling pretty connected and pretty grounded in the office, and there was a point in my life where I was not connected and not grounded in my personal life. And I felt like things were a little bit out of control and like, hey, at work things are going really well and I'm being successful and everything's awesome. But I come home and it just, it's a little crazy, right? And it wasn't just a bunch of young kids. I started doing one on ones. At home. On my calendar. So that my kids knew that on Saturday at nine AM or Sunday at four PM, or whatever it was, or Tuesday at six, I'm looking at my watch and my calendar saying, hey, we got a one on one. Like, where are you? And I started taking notes in those one on ones, as well. And I was following up from week to week, saying, hey, you said you were working on this, like how did that go? Things that I would've never remembered otherwise. So simple little things like a technique that I took from the office to my home have kept me connected and grounded to the people that are really what's most important. And even in this place, right, I mean yeah, we're the world's largest privately controlled information technology company, but we're a people company. We just are in the tech business. And so connections to people are the thing that keep me grounded, both at work and at home. Fantastic, love that. Sometimes as leaders we need to hear stuff that we don't hear, or we need to create an environment where people really speak, you clearly mentioned a couple of times your desire and willingness to listen. How do you actually help people feel like you're gonna take what they say and that it will really be meaningful to you versus them saying, he's listening, but he's not really listening. How do you really engage them in a way they develop trust in you as a leader? Tool, because you get to know people, and you immediately just feel safe. When we can walk into the room and say, hey, I'm adopted, and you say, I'm adopted, too. That bond, that connection is so strong we feel this instant safety that allows me to share things that I probably wouldn't share with anybody else that wasn't adopted. I'm not actually adopted, but we do have a child, and so I certainly understand that. And that connection just really helps people feel safe and willing to speak. So I have to put myself out there a little bit, I have to show and walk the walk. We recently had a member of our team who was going through a gender transition. So we got up and talked about it, with their permission, very openly in the office so that people could understand it and I had a lot of people come up to me afterwards and said, I don't agree with that, I don't understand that, but I accept that, and I accept where that person is and I will respect them on their journey through life. And had a lot of other people come up to me and say, oh my gosh, I totally get where that person is coming from because my friend, my family member, whatever. And when you have moments like that where you've extended yourself or you've created an environment where people feel connected, where they feel safe, where they feel love, I wish we talked more about love in the workplace. We just have to talk about what kind of love. But we want people to feel safe when they come to work, and when they feel safe, they talk. I love this idea of creating communities to create safety by their inherent affinity towards each other and the ability that gives you to create a foundation of safety in an organization, always a home base that you can go to to feel good and comfortable with. That's just fantastic. What's your leadership philosophy? How would you describe your approach or your philosophy as a leader? Well, I think I've mentioned a few of those things. One of them is humility, and trying to recognize the people and the great ideas that are around you as a leader. I also really believe a lot in the law of excellent people. I don't know if you've heard of this. Well, Mark Andreessen gets the credit for creating what he called the law of crappy people. And I just have pivoted from that to say, you know, that's kind of a negative view of the world. I'm an optimist, and so I, rather than saying, hey, if you hire, his law says, as soon as you hire a B player, they're not gonna hire an A player, they probably won't even hire another B player because that would even be intimidating, they're gonna hire a C player. And so you begin this downward spiral of organizational decay. If you hire an A player, of course, they're not gonna hire a B player, right, they're gonna hire another A player. They might even try and find an A plus player, because they want to be part of a super high performing team where they can learn and grow. So I've always tried to adhere to that philosophy, and it's hard, especially when you bring someone in and it's not that they're maybe even a B player, it sometimes is just not a good fit. They're just in the wrong role, and maybe in the wrong company. And I've seen other people leave my team or my company, the company that I was in, and go somewhere else and be really successful. And helping people make that journey is really important. Trying to find excellent people, A players, bringing them into the team, recognize, support them, love them, and then the people that aren't successful and they're performing at a B level, and helping them find a place where they can be true to their desires, hopefully to be an A person, those are some of the things. Humility and the law of excellent people. So if we set aside humility and the law of excellent people, if you were to talk to people that report to you, how would they describe your leadership style? I don't know, they're just sitting around the corner, why don't you, let's pull a few of them in. I think they would always say, in fact, when we buried the time capsule for this building, they put a quote on the time capsule that was a quote from me, it was, I think the quote was, we are, you know, quote, we are wildly optimistic, end quote, Vance Checketts, whatever the date was. And I think they all know that I am an optimist, and I like to say yes to things, but I call it the qualified yes. So even when we were out of space in our first building just two miles away from here, parts of the then EMC business, leaders would come to me and they would say, hey, we wanna put a new team in Utah, can you take them? And I would always say, you know my team would say, oh boy, here goes Vance, he's gonna say yes. And then they'd be like where are we gonna put these people? I'm like, getting out some folding tables, stick some people in the corner. Let's just make it happen, you know? And so they would say Vance is wildly optimistic, he's got this vision and he's gonna march forward, and we're gonna help work through all the details. There's always a qualification to yes, we'll take on your new team, and yes, we'll hire some more people. It's gonna be a little bit tight, they might be sitting on folding tables and chairs for the first six months, but we'll then go build some space out, go lease some additional space, whatever, and look at where we are today, we have this beautiful new building. So wild optimism, I think they would say, and then just a real person, I'm a human, I'm not perfect. I know I can make mistakes and I'm willing to apologize for them and clean them up. So I hope that's what they say. That's fantastic here. What do you do to stay sort of at your best as a leader, so what are some of the maybe private practices people wouldn't see, things you do every day or regularly that really sort of energize you and motivate you? Yeah, well, there is one thing that's a Stephen Covey thing so, shout out to Stephen Covey. Saw time, on my calendar every day, there's something called saw time. And it's a direct reference to sharpening the saw. And that's important to me to always have a little bit of, a moment where I can just say, okay, what just happened, what do I need to do, how did my priorities just change, how did my schedule just change, and how do I just get grounded again? That's one little thing that I do every day. The other thing that I do, I already told you I'm comfortable in the introvert world, as well, is I really love nature, and it's super important for me to get out of the office and out of even my house and go into the mountains or somewhere in nature and just have this spiritual connection with the world and with God, for me, is really important as well. And that doesn't always happen every day, saw time does, but there's probably five days a week where I am somewhere out in the hills or outside just doing some of my recharge. What would be some of the things that occur during saw time? I look at my calendar, I look at my to-dos and my priorities, or sometimes I just take a deep breath. And just say, okay. 'Cause my schedule is usually back to back to back to back. So it's that time where I can just take a deep breath or I do something personal, I might even get up and go for a walk or get something to eat or drink. It's refection time, it's regroup time, it's reprioritize time, it's sharpening the saw. Fantastic, well, nature's also clearly a really important part of this here. What are some of the fun things you like to do in the outdoors? Clearly mountain climbing or mountaineering is one of them. Yeah, I love to get up into the mountains. People always say, so, do you ski? I enjoy skiing, but when I back country ski, I love going up probably even more than I love going down. You love skinning more than skiing. Yeah, I'll skin up to these places and then I'll be like, oh my gosh, can I skin back down? Like, can I just flip those skins around and just kinda inch my way back down the hill? And of course, all my friends are like, ah, can you just carry me up and then I'll ski down? But biking would be higher on the list than skiing for me, road biking, mountain biking, I do have a fat tire bike. But when I travel, especially, I love to just put on some trail running shoes and find the closest piece of dirt and just hit a dirt trail through some trees or a park or something like that, and the mountains are just a bonus. So that's probably my first love is just some trail running or hiking shoes and just hit the mountains. And if it's snowing, even better, it just means fewer people and I have to worry less about staying on trails, 'cause I can just put my snowshoes on and go up anywhere, do anything. And then if I can stay there for a night or two, even better. So camping as well, that's great. What's the most interesting adventure that you've had recently in the mountains? Recently? It would probably be a trip to Alaska last summer. It was phenomenal, totally off the grid up in the wilderness of southeastern Alaska was just breathtaking, wonderful. So it was the spiritual aspect of it, it was the recharging aspect of it, it sounds like. Also there was, it involved a lot of hard work, too. And that's a story for like another podcast how I even got to this place where I was, but yeah. There was some serious physical work, but that was also purging for me, too. Sometimes when I feel like I just sweat it out. And do you typically do it in groups or are you more on your own? Because I will find time, seems like lately it's been more evening time. Even on my bike, for those who are familiar with Corner Canyon, if you look up there at like 10 o'clock or 11 o'clock at night you'll oftentimes see a little light somewhere, I'm probably one of those lights, a few days a week. So because I'm doing it usually at odd times, I have a few people that I'll just call randomly and say, hey, I'm heading up to Corner Canyon, or text them and say hey, I'm gonna hit the trail in about 30 minutes and every once in a while someone will take me up on it. So I'm very comfortable going alone, and I need that, but I will occasionally do it with groups, too. With groups as well, awesome. The Alaska trip was with my brother, his son, my wife and our son, so we had a few of us together on that Alaska trip. And yesterday morning I was on the top of South Mountain with a friend who'd hiked up Lehi and I'd hiked up from Draper and we met on the top of South Mountain, did a little loop. That's awesome, and great way to recharge and great way to connect with the outside world at large. Who are some of your great leader, great leaders you like to look to, or that you respect or that you try to admire or even emulate? So, those are the kinds of people, those are the kinds of relationships that I think have real and lasting influence on me. Now, Michael Dell's been to my house, that was a memorable experience, and what a personality and an amazing individual. But I'd put him right up side next to Emily. Fantastic. So where your humility comes out, it's the people. It's individuals, it's those relationships. What advice would you give your former self if you were to kind of do it again. If you were to say, I'd go back to my 21 year old self and give myself some advice, what advice would you give? Yeah, I think I was... I got exposed to tech, my dad was working for Digital Equipment Corporation. When we lived in Massachusetts, he was working for DEC, one of the big tech giants of the day that is gone right now. And I don't think I really understood or appreciated that. I don't know that I would've gotten a degree other than English literature for my bachelors, which that's my, I love that, people will talk about diversity and they talk about hey, is it too late for me, and I'm like no. I got an English degree, and I love my English degree, and I sometimes wonder, would I get a different degree? But I probably would have, I would have paid more attention to technology, and the world around me. And it's hard when you're a teenager or even in your early 20s, you're oftentimes so self-absorbed you don't take the opportunity to look at the world. And I was climbing mountains and doing things at that time, but it was more for my own personal thrill and satisfaction and accomplishment as opposed to understanding the world in which I lived, and feeling that connection with everything else around me. It was much more self-absorbed. So I don't know if you can get away from that as a teenager or even early 20-something, but that's what I would try and tell myself, I would say, hey, pay a little bit more attention to the things that are happening around you. Like, for example, your dad's job, he's working for this really cool technology company and, of course, had I known that I was gonna be working for this huge east coast technology company 20, 30 years later or whatever it was, that would've been really interesting to tell myself. And nowadays, technology is just a part of any profession you might choose, or any degree, and so I would certainly say to anyone who's listening, pay attention to technology. You don't have to be a computer scientist, but understand technology, don't just use it blindly. Understand, and it will be a good thing. When you know what the Cloud is and where all your personal information is going, you might act a little differently. So that's one of the things I would say is just, hey, lift your head up a little bit more, try and think outside the box that you're in. Get out of the bubble that you're in. Yeah, get out of the bubble, and technology in particular. So a couple, just quick questions in closing here, help you sort of fit in the range of all the leaders we've talked to so far, here. Would you say you are more likely to lead from the front or the back? And why do you enjoy leading from the front, or why do you choose to do that? I think I'm comfortable in the middle or from the back, more comfortable from the middle. And I think about bike racing all the time, too. When you're on the back of the pack, it is really hard. It's a grind, and if you fall off the back for a minute... The middle, or the middle half is a really good place to be. The front's a great place to be too, but you better have a team that's working with you, or you're gonna be burning out pretty fast. So I definitely, not a back of the pack kind of a guy. And if you're a cyclist, you know what I mean. Are you more of a big picture or detail-oriented person? So big picture, for sure. Would you say that you are more of a rule maker or a rule breaker? This is where I like to say yes to things. Can we break this rule? Well, of course, with the following qualification that you do some other things, and can I break this rule? So I'm more of a, in my effort to compromise is why I would say I'm a rule bender. I like that, I like that. Would you say you're internally or externally motivated? I really depend a lot on validation from people around me and in my environment, I'm very... I think some might even say I'm sometimes co-dependent, which is not necessarily a good thing, overly dependent on people and the feedback that I get from around me. But then I go off and do these things solo that are just, that nobody sees or knows that are just very internal to me, too. So I feel like I, I get motivation and inspiration both kind of very internal and personal to me, but it's important to have that backdrop of my interpersonal connections, as well. Little bit of both, really. Communication style, are you more of a direct, hard-hitting communicator, or more of a, sort of, ease into the conversation, kind of get rid of some of the pain and try and make it a little simple for people? So it's a little bit different when it comes to written versus oral and what it is we're talking about. If we have some hard things to talk about, I'm gonna ease into that conversation. I'm gonna say, hey Brett, some really good things are happening, and we're really excited about this, and congratulations on that, now here's some tough news. But be very direct about that. And in writing, I like bullet points. I like to be able to say, we got four things that are really important, boom, boom, boom. And if there's a priority, even better, put numbers on the bullet points. So I like to be crisp, concise, very direct, especially when it comes to writing. You will never get a multiple page email from me, ever. Love it, love it. Vance, this has been great. How do people that are listening to the podcast follow you or keep track of you on social media? Well, Twitter. Vchecketts is my Twitter handle, and I've been pretty active the last few years trying to just share what's going on in my personal and my professional life. So that's certainly a good way and LinkedIn, I'm pretty active there, too. I am on Facebook but don't bother 'cause I just am not, I exist, but I'm not very active on Facebook. Same with Instagram and SnapChat, so Twitter and LinkedIn. Love it, well thank you so much for sharing your leadership approach with us today, it's been insightful and a lot of fun. My pleasure, Brett, thank you.